Let the countdown clock start. This is the BMW we’ve been craving. It could turn out to be the best BMW M car in years. Perhaps ever. The BMW M2 CS, according to a report from Bimmerfile, will have its public debut in the coming months at either the Los Angeles or Detroit Auto Show. LA takes place in November while Detroit is in early January. Regardless of which venue BMW ultimately chooses, the M2 CS is not exactly going to be your standard and already formidable M2 with, say, just an aero pack. This is full-on cardiovascular surgery here. The M2 CS will supposedly drop the M2’s twin scroll single turbo inline-six for the M4’s twin-turbo inline-six, which normally produces 425 hp, but it’ll be detuned in the M2 CS to "just" 400 hp. 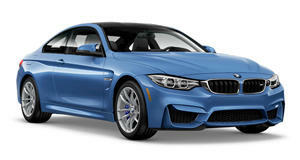 In other words, the M2 CS will have about an extra 35 hp over the M2. Cool. Considering the M2 is not only smaller than the M4, but also lighter, the final power-to-weight ratio is going to be pretty nuts. And yes, a six-speed manual will be on offer. You can breathe now. However, the familiar DCT dual-clutch will be optional, and it’ll help thrust the M2 CS from 0-60 mph in the low four second range. There's also going to be an M2 Competition, but it'll retain the single turbo engine, thought it'll receive a power boost. 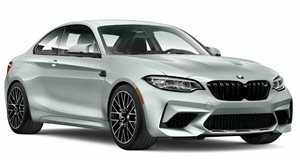 For those interested, Bimmerfile has also learned the M2 CS’s exterior paint options, two of which are new: Sunset Orange (new), Hockenheim Silver (new), Alpine White, Black Saphire, and Long Beach Blue. Considering the M2 CS’s reveal isn’t too far, we’re expecting more details to come in fairly soon. Now, how about that M2 GTS? Yeah, that’s going to be a thing, too. Eventually. If all goes to plan, M2 CS production will get underway in March 2018.